S - Receive Custom Logo Wader Bag FREE! SK - Receive Custom Logo Wader Bag FREE! M - Receive Custom Logo Wader Bag FREE! MS - Receive Custom Logo Wader Bag FREE! MK - Receive Custom Logo Wader Bag FREE! MKS - Receive Custom Logo Wader Bag FREE! ML - Receive Custom Logo Wader Bag FREE! L 9-11 - Receive Custom Logo Wader Bag FREE! 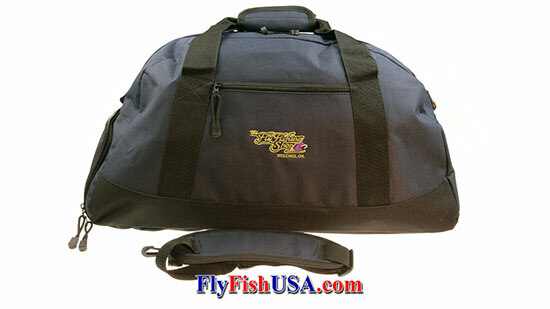 L 12-13 - Receive Custom Logo Wader Bag FREE! LS - Receive Custom Logo Wader Bag FREE! LK - Receive Custom Logo Wader Bag FREE! LL 9-11 - Receive Custom Logo Wader Bag FREE! LL 12-13 - Receive Custom Logo Wader Bag FREE! XL - Receive Custom Logo Wader Bag FREE! Order a pair of Simms G3 Waders and receive a Custom Logo Wader Bag for FREE! Purchase the same waders in our store and receive the same deal! WHY DID SIMMS CHANGE TO THE NEW 4-LAYER GORE-TEX® FABRIC? Simms is obsessed with improvement. When it comes to making the world’s finest fishing waders, Simms don’t rest with the techniques of yesterday, but want to continually improve waders for angler like you. For this line launch, Simms identified the need for a more breathable wader fabric for the angler who fishes in a wide variety of environments. WHAT PROBLEMS DID SIMMS ADDRESS WITH THIS CHANGE? Simms worked with W.L. Gore to develop a more breathable wader laminate, which offers anglers increased comfort over any other wader laminate on the market. The new laminate has been developed with breathability performance optimized for a submerged, in-river environment. Additionally, Simms were able to develop a more pinhole puncture resistant laminate with the introduction of a film layer into the lamination recipe. HOW IS THE 4-LAYER DIFFERENT THAN THE PREVIOUS 5-LAYER FOUND IN THE G3 GUIDE™?There are a few ways the new 4-layer GORE-TEX® Pro fabric performs better for the G3 Guide™ collection. First off, the drape of the fabric is much improved due to enhanced suppleness. With this comes improved range of motion and ease of navigating complex wading situations. The breathability of this fabric offers a 190% improvement over the previous G3 Guide™ 5-layer GORE-TEX®. This has been backed by both lab and field testing. All of this provides a wader fabric that can perform in a wide range of angling environments. ** Only available through Simms' Custom Shop Program for an additional charge. These waders are amazing. The fit is perfect and the quality is outstanding. This company is great to do business with. Incredibly durable! The absolute best waders out there. With the wide variety of sizes available, you'll find something that fits you.